Mark Lawrence: The cost of promotion! Whenever I've had a new book come out, the publisher has sent me promotional copies. And of course, there's a hunger for them among the readership. But how does an author use a promotional copy? Of course when you tweet the photo of your 5, or 10, or 20 (I tend to get 20) copies spilling from their box @JoeReader is quick to tweet back that you could send them one. It seems simple. It's a free book. It cost me nothing. Send it out to a reader. 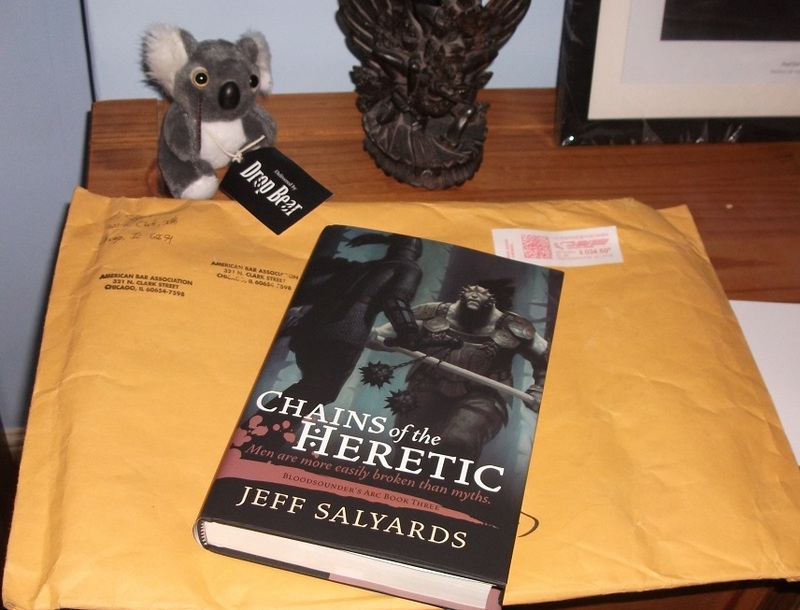 It's a very nice hardcover copy of Chains of the Heretic, signed and dedicated by Jeff Salyards. 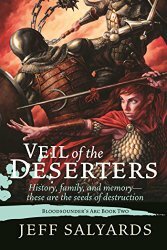 I've read (& reviewed) the first two, Scourge of the Betrayer and Veil of the Deserter, and enjoyed them a lot. When I send a book to the States or Brazil it often costs me more to send than it would to give the person the money to buy a copy in their own country. I'm literally paying people to read my book. And that's not a recipe for success as an author in general. It's supposed to work the other way around if I want to eat. How can this be a sensible move for Jeff? We'll clearly the hope is that I will somehow convince enough people to buy his books to compensate the investment here. Let's look at the arithmetic. Let's say Jeff gets 10% of the cover price of a hardcover copy when it's sold. That may well be an overestimate. Let's give 15% of that royalty to Jeff's agent. Let's give 20% of it to the tax man. That leaves Jeff with about 7% of the cover price. So, if I manage to convince 19 people to buy the hardcover early on, it has been a wise investment. The thing is that even with my not insignificant following on Twitter, Facebook, and this blog, it's a fairly tall order to expect 19 people who would not otherwise have bought this book to buy it on the basis of the typical mention I'm able to give to books arriving at my house. Imagine if I hadn't boggled at the postage and decided to write this blog. Typically a book hitting my mat gets a photo + mention on my Facebook, followed by an average wait of 9 months before it's read (if it ever is). Would that generate 19 hardcover sales? And what if the book isn't being sent to a fantasy author with a decent-sized following and a tendency to post about other people's books? What if it's bound for a blogger with a small following, or the winner of a contest, or a randomly selected reader from Goodread? Will that generate 19 hard cover sales? The bottom line is that it's very hard to know what to do with the 'free' books a publisher sends you. Sending them out into the world is the natural thing to do - but it's going to cost you 100s of $$$ and may very well not generate anything like enough sales to justify the cost. In the end I tend to send out all the books I get. I hate to see them sitting there unread. But if you do get one - do try to think of the author that sent it and if you like it, do what you can to spread the word! Mark, Brazilian Reals equate to about $0.25USD. I assume that is the issue here, or else he chose an obscenely expensive priority shipping method. It does not cost $34 to ship a book. It costs me about £18 (about $27) to send a copy of my latest book to Brazil, tracked. Without tracking the average airmail time, door to door, is 90 days, and the cost still more than £12 ($18). I didn't ship it express, but I did do it through my company mail rather than the normal post office, which resulted in some mark up (and it was tracked). Hey there, have never heard of your work before but this post sparked my interest. Any book in particular you think would be a good jumping in point? A personal favorite? I can confirm that $35.50 is probably the cheapest price for sending a heavy hardcover book internationally from the US. I shipped a couple of paperbacks in minimal packaging recently and they cost me about $22 each. There's no international media mail/book rate with the USPS any more. These were for Goodreads giveaways, and I don't expect a direct return on investment, but it's worth it to get a few more reviews up there and get some visibility. At some point, it's possible that all of that will snowball. I think I would probably donate the books for charity auctions. I would leave an address where the buyer could mail the book to be personally dedicated - being sure to include the cost of the shipping to the bid. Not only would it raise money for a cause, but I get a small tax write off. Of course, this may not apply in the UK. So many mentions of Brazil I had to leave my thanks here. You're an awesome writer and person, Mark. Now, a question. You guessed the writer would get 10% for a hardcover. What's the % for e-books? I have hundreds of hardcover and paperbacks, but since I got my Paperwhite, I read at leats 2x faster and buy 3x more books. All digital. Never knew if it was better for the authors I like, or worst. But the size, weight and portability (specially syncing with my phone and internet reader) make me love Kindle more than smell of new books. It's a larger percentage with ebooks (~18.5%) and smaller with paperbacks, but you have to consider what it is a percentage of. Ebooks are often much cheaper so 18.5% of the price may be less than 10% of a hardcover price. I sent a paperback to my son that he left at my house over the holidays. I could have sent him money to buy the thing cheaper than it cost me to mail it the ten hour drive that he was from me. That said, I've been hearing a lot about this series lately. I'm going to have to get busy reading it. You missed a point about introducing people late to the series. Despite it being a review of Book 3, it very well could introduce people to Book 1 and 2, which is happening in my case. Thanks! I love this Anonymous mystery reader. Well, Mark, it's not hard for you - as a "big dog" in the trade - to generate ten times that amount of interest, even with a simple mention. You have to consider that people in the book market usually respond much more to such promotions than, for example, fans of a singers personality. Very interesting post. But i think most authors who send you books do it with the hope you DO read it and give it a good review on goodreads. I've bought several books just based on your review. Obviously this isn't the case for everyone, but i'm pretty sure a good review on your goodreads account can generate at least 19 sales. Hello, my apologies if I'm mistaken, however I believe that there is a very little known option that might dramatically lower the cost of sending books overseas. In 1950 was signed in Florence the *UNESCO's (United Nation Educational , Scientific and Cultural Organisation) Agreement on the Importation of Educational, Scientific and Cultural Materials*. There's a lot of provisions to this agreement, but basically the aim is facilitating the free flow of books and cultural materials. How does that translate ? Speaking of what I know best, for exemple, there is, in France a very little known option, to ask a for a special postage tariff if you send books overseas. However, needless to say, our post office never advertise it, and most of the employees don't even know it, however, it may be worth it, if you called your national post office HQ, and ask them if they provide a special tarif as per the UNESCO's Florence, 17 June 1950 Agreement. Interesting - I'll look into it. Germany has (had?) a special lower price for sending books too, as I remember when living in Switzerland. I used to drive the couple of miles into the german post office to do it, it was much cheaper. I found this link on the Royal Mail site, for "printed papers": is this what it's costing you? I've never received a promotional book, however, if i did, i would instantly read it and review it on various sites, i feel that would be the right thing to do if an author is generous enough to send one out to you, or if you won one through a competition. i will definitely check out this series and have added it to books i want to read on good reads :). Hmm, this is why when I do those giveaways through GoodReads, I only do one book at a time and keep them within the US, even though I get a so-so number of sales (relatively speaking) in the UK. A paperback tradebook, including shipping, lets me get it done for about ten USD. It seems to be worth it at that price. I just bought a bunch of pounds for my upcoming trip to Wales in September (it's where my current books are set and I'm stoked about going). I'm less enthused about why I got a really good rate on the pounds, but that's another story. It occurs to me I could bring a few copies of my first book and mail them to various UK destinations, possibly even postmarked from Hay-on-the-Wye (which is definitely on my itinerary). Everyone must read this trilogy. It's a masterpiece. Sounds like you work for Uber. I remember when this unknown (to me, and largely the world at the time) writer named Mark Lawrence hit the market. I saw his name pop up on the blog of one of my favorite authors of the time (and honestly, I don't remember whose blog that was)... he gave a legitimate review of Thorns and his appreciation for the story and prose. So I tried it out - to the tune of, to date, 9 copies of your books (between hard, soft, and e-books), and have "sold" at least 3 through recommendations. Great blog post, interesting perspective. I wanted to weigh in with a voice letting you know it works. 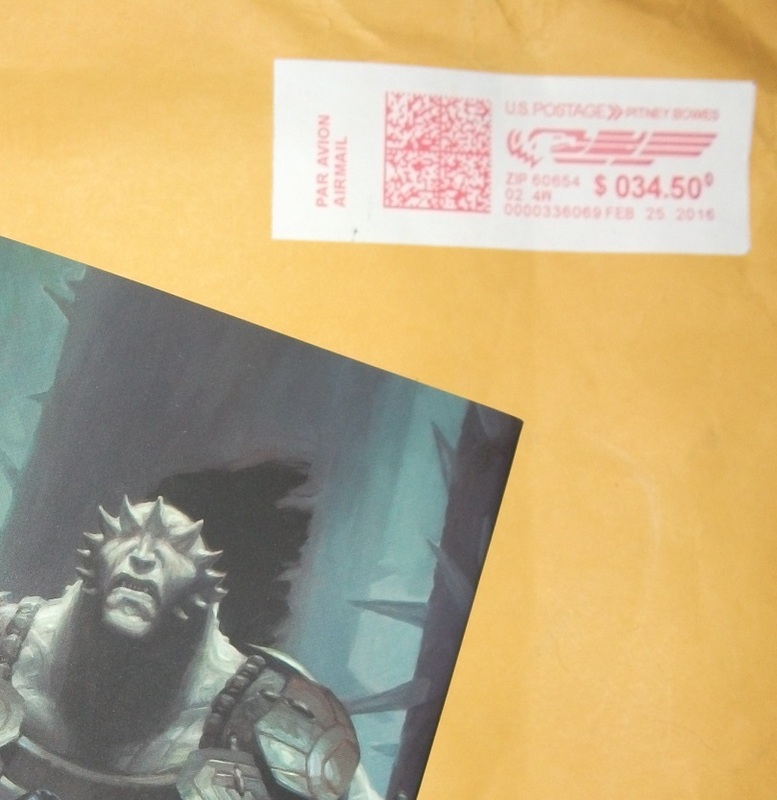 I don't know who Jeff Salyards is, so I won't be buying Chains of the Heretic. 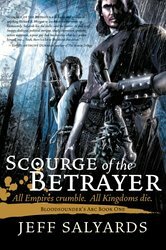 Unless, of course, Scourge of the Betrayer proves worthwhile - in which case maybe I'll end up with multiple copies? One way to find out! I am sure I read the same blog post. I bought it on Audible that day. Holy crap! It was excellent. Just saw this book on goodreads and added the series to my wish list.